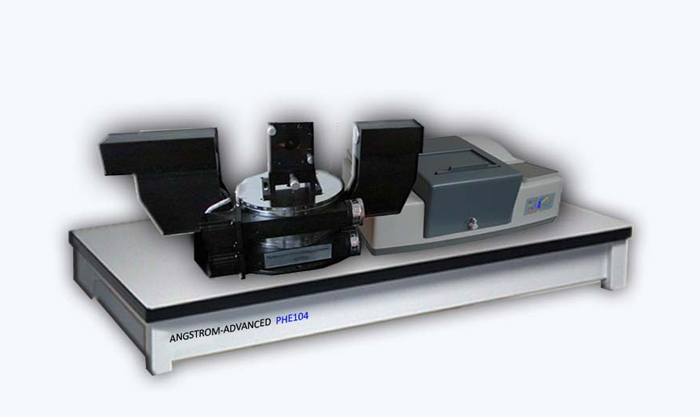 Discrete Wavelength Ellipsometer & Spectroscopic Ellipsometer - Product Line - Angstrom Advanced Inc. Simple, accurate, reliable, affordable desktop or in-situ/on-line, R&D or production Thickness and optical constants (n and k) can be measured quickly and easily. The measurement and analysis of the data provides results in seconds. 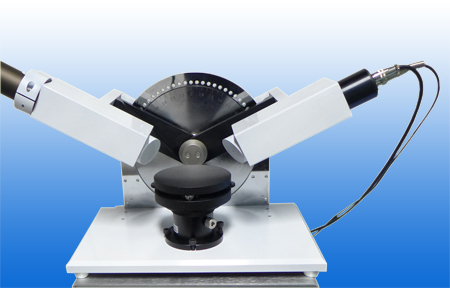 The PHE101 is an ideal discrete wavelength ellipsometer designed for measuring the refractive index and thickness of single and multi-layer films. The PHE101 ellipsometer takes quick and accurate readings due to its precision optical analyzer/detector and its stable mechanical design. 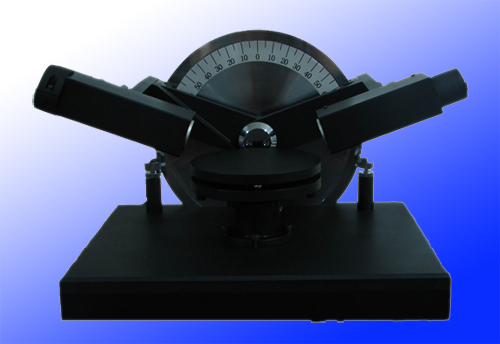 The PHE101M is a multi-wavelength ellipsometer. Different wavelengths from UV, VIS or NIR range (up to 5 wavelengths)can be selected. 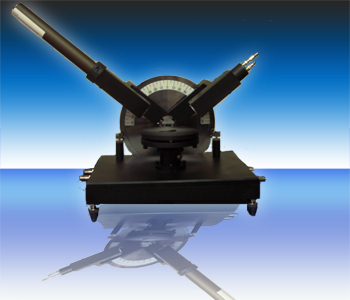 The PHE101M ellipsometer has all of the features which PHE101 has. The PHE101M ellipsometer takes quick and accurate readings due to its precision optical analyzer/detector and its stable mechanical design. 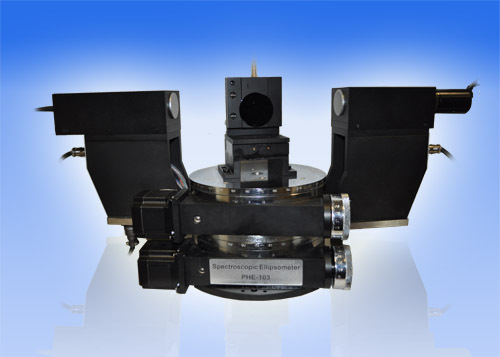 Model PhE101S Ellipsometer is an ideal instrument for antireflective coatings on Silicon Solar Cells.The PhE101S ellipsometer has patented Minsearch technique-which stops the motor at a defined position before the intensity value is measured from the detector. 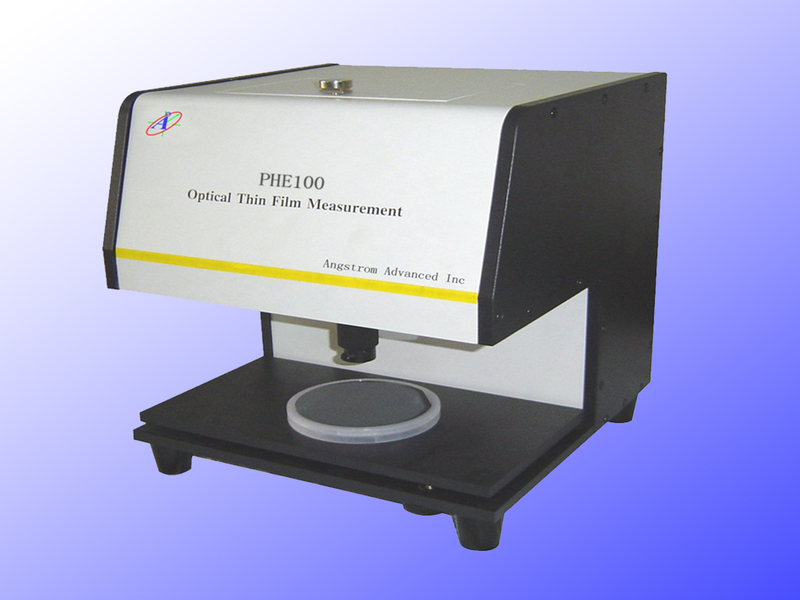 The PHE-102 series is a variable angle spectroscopic ellipsometer operating in the spectral range 250 - 1100nm, 250-1700nm or 250-2100nm. In the PHE-102 Ellipsometer a broad band white light source is used to illuminate the sample spot. * The image of each model is to be modified time by time.